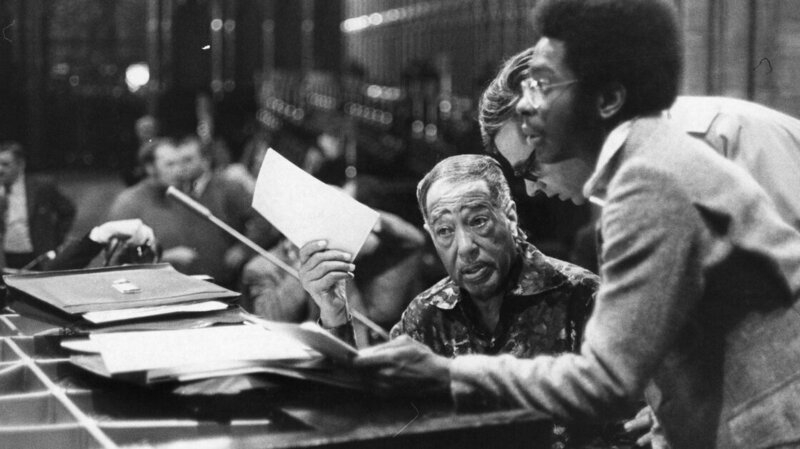 Duke Ellington rehearses for a 1973 concert in London’s Westminster Abbey. As his son Mercer Ellington later noted, Duke Ellington took Strayhorn’s passing as an impetus, born of necessity, to increase his own productivity as a writer. His discography from 1967 to 1973 contains numerous points of interest, such as The River (written for an Alvin Ailey ballet), a duet date with bassist Ray Brown (This One’s for Blanton) and a stellar piano-trio concert (Live at the Whitney). Here are five more glowing snapshots from the Ellingtonian twilight. Billy Strayhorn had been gone for only three months when Ellington took his orchestra into the studio to record an album-length tribute to his departed partner. 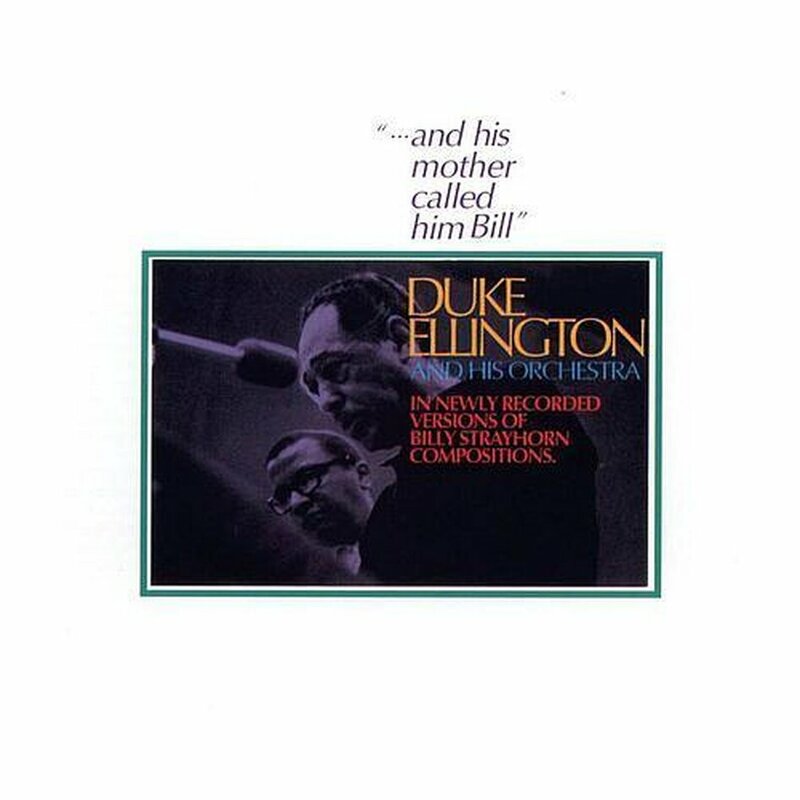 The result consisted of some of Ellington’s favorite Strayhorn compositions, including this moving performance that was captured on tape as the leader’s band members packed up around him at the end of a recording session. In its immediacy and unadorned emotion, it serves as a grief-hued testament to the beauty of Strayhorn’s music — and to Ellington’s determination, in the wake of his friend and colleague’s death, to honor that beauty and carry it forward. 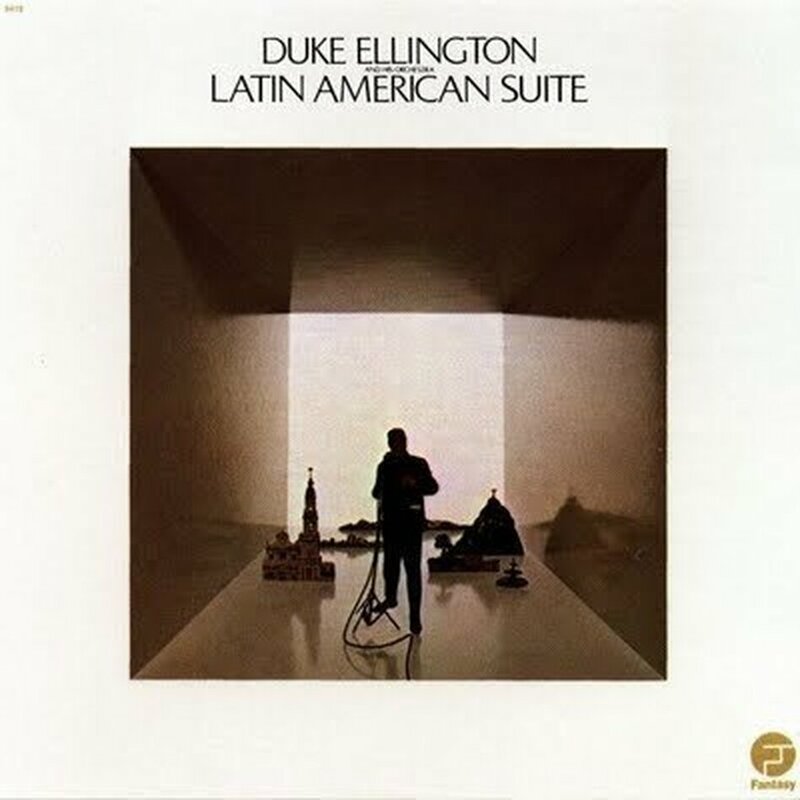 During the Ellington orchestra’s month-long tour of the Soviet Union in 1971, Ellington closed every concert with a similar, solitary rendition of this Strayhorn song. 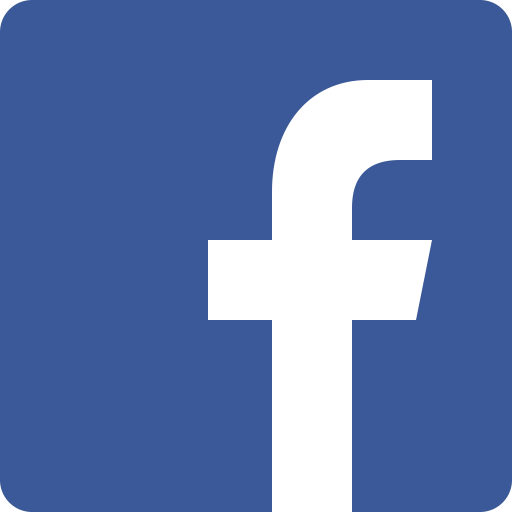 In Ellington’s last years, the orchestra played abroad several times on behalf of the U.S. State Department. These international tours inspired the leader’s compositions, as well, building on the example set by his and Strayhorn’s The Far East Suite. A 1968 tour of Latin America yielded a festively surging and sunny set of music, capped by this showcase for tenor saxophonist Paul Gonsalves. 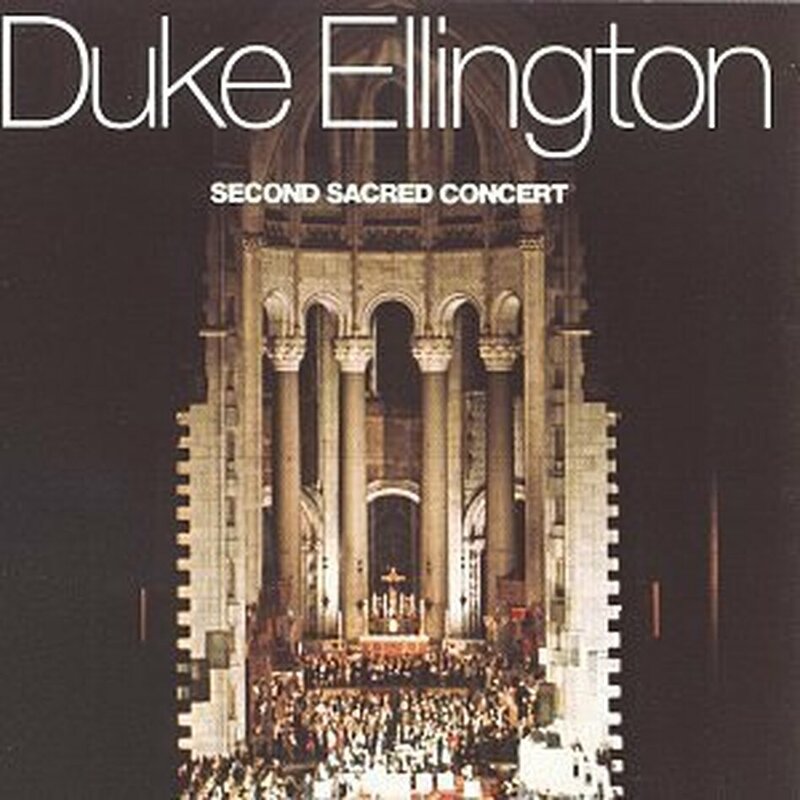 Ellington’s sacred concerts held a special place in his last decade, giving him profound personal and artistic fulfillment, even as they provoked controversy in more conservative quarters of the American religious establishment. His mantra for his sacred-concert music was, “Every man prays in his own language, and there is no language that God does not understand.” Although he was not the first artist to perform sacred jazz, he gave it its highest profile in the turbulent 1960s — yet another way in which he continued to be a vital and continuously evolving figure in American music. “Praise God” opens the Second Sacred Concert in a burst of exquisite Ellingtonian melody, with the Duke’s longtime baritone saxophonist Harry Carney carrying a chalice of musical offering. It seems fitting that Ellington would write a tribute to the capital city of jazz as his career neared its close. New Orleans Suite brims with a diverse set of melodic colors worthy of its subject, including the rousing “Second Line” and the groovy, laid-back lyricism of “Portrait of Mahalia Jackson.” It opens with “Blues for New Orleans,” which puts the full power of the Ellington saxophone section on display and provides a showcase for organist Wild Bill Davis. 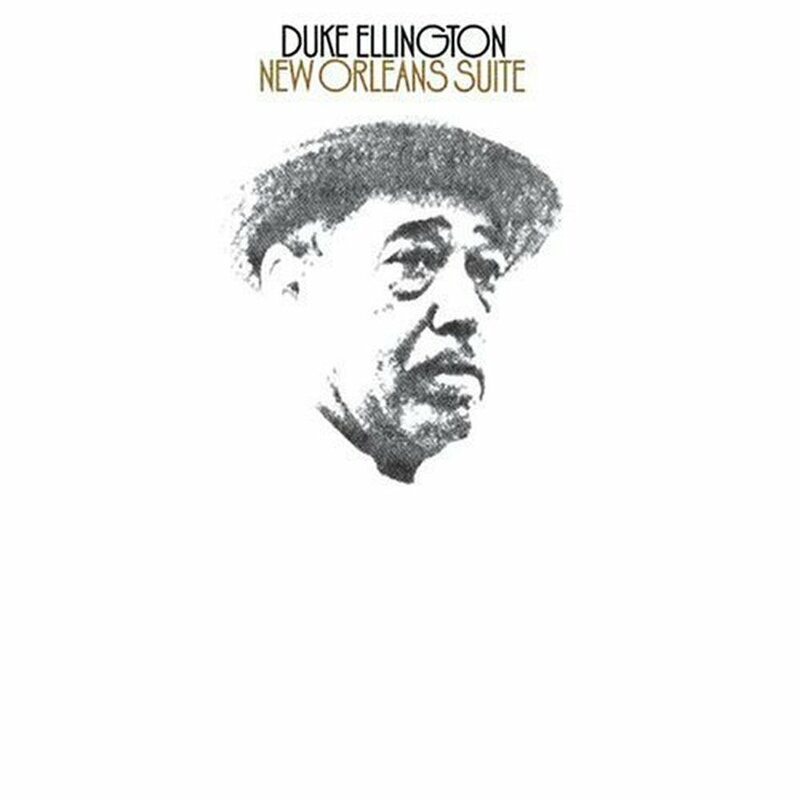 “Blues for New Orleans” also features the last solo to be recorded for the Ellington orchestra by alto saxophonist Johnny Hodges, who had played a key role in the character of Ellington’s sound since the late 1920s. Ellington had hoped to have Hodges dust off his long-closeted soprano sax for the album’s “Portrait of Sidney Bechet,” but Hodges died two days before the tune was recorded. The loss of such veteran musicians dogged Ellington throughout his final years, and yet he sustained the orchestra until he himself passed away in 1974. 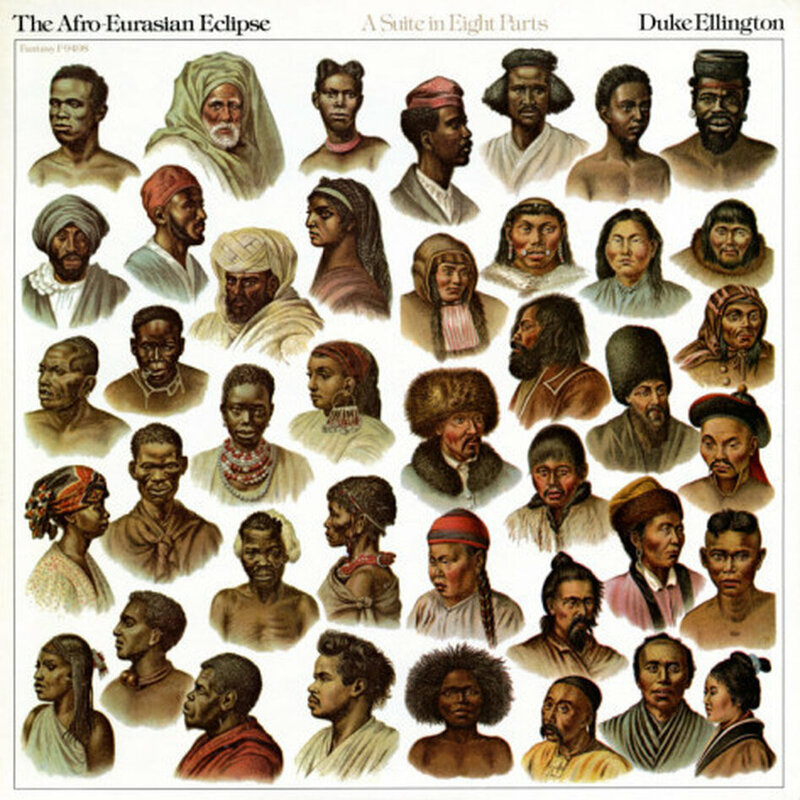 Consider Ellington an early advocate of world music, and take The Afro-Eurasian Eclipse as rhythmic and melodic evidence. Ellington introduces the opening number, “Chinoiserie,” with a rap (in the old old-school sense of the word) that namechecks Marshall McLuhan and touts the onset of a global cultural identity. The album as a whole reflects what the late Ellington scholar Eddie Lambert noted: Ellington’s late-period work often featured exoticism that hearkened back to his “jungle-music” period of the 1920s. Here, tenor saxophonist Harold Ashby rides the wave. In concert, Ellington often accompanied the performance of “Chinoiserie” with what has been described as “a ritual dance.” That spirit, that love of life and music and performance, shimmers in the works that he gave us as death closed in on him.